A Samsung invitation tweeted this morning confirms that the company will show off its next Galaxy S phone on March 14. Samsung will unveil its new Galaxy S4 smartphone at a launch event on March 14. 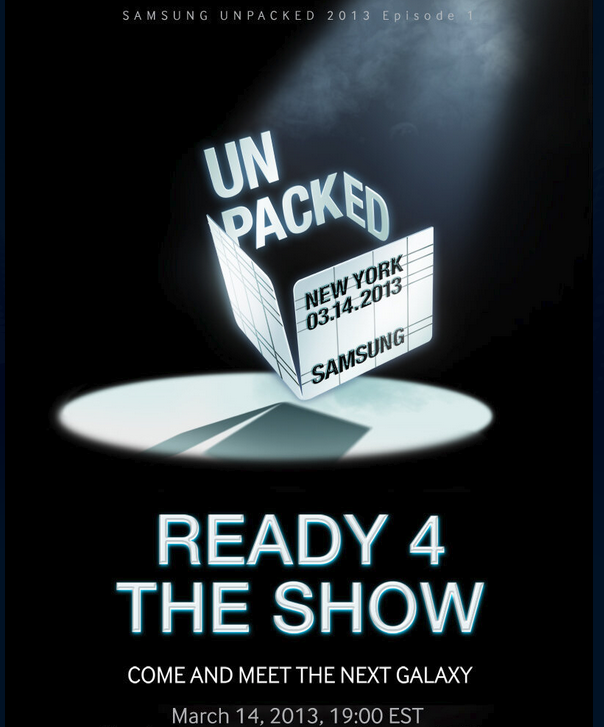 The news was tweeted by Samsung this morning via an invitation announcing the event, dubbed "Samsung Unpacked 2013 Episode 1." The tweet says Samsung wants people to "come and meet the next Galaxy," and further teases the new device with the numeral 4 in the phrase "Ready 4 the show." 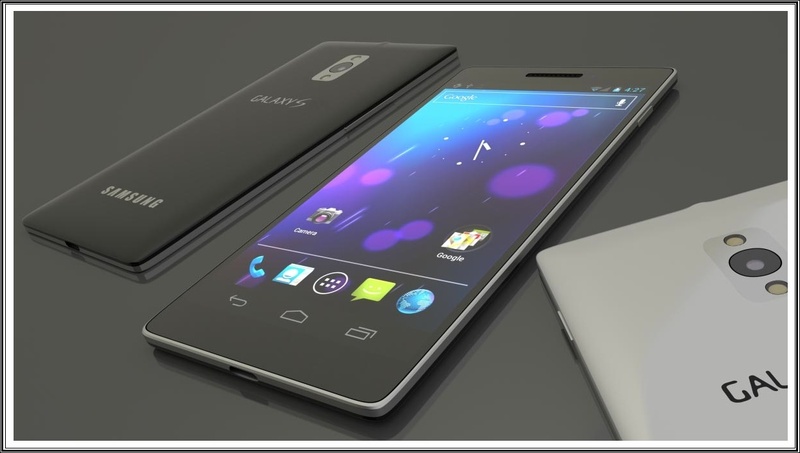 The current version of the company's signature smartphone is, of course, the Galaxy S3. The event will be take place in New York on Thursday, March 14, at 7 p.m. ET. It will also be live-streamed on Samsung Mobile's YouTube page. Samsung already confirmed to CNET yesterday when and where it would launch the S4. But the official invitation adds some icing to the cake. Little is known about the S4 at this point, though rumors have pointed to a host of new features. Equipped with Android Jelly Bean 4.2.2, the phone will reportedly offer an eight-core Exynos processor and a separate graphics processing chip. With a 4.99-inch SuperAmoled display, the S4 would reportedly come with 2GB of memory, a 13-megapixel rear camera with 1080p video capability, and a 2-megapixel front-facing camera. Samsung also told CNET that it's considering outfitting the phone with an extra layer of security in the form of its Knox software. That addition would of particular value to government agencies and corporations with tight security requirements.